TimeTrap Escape Rooms has a great reputation in the industry, so I was genuinely excited when they announced the launch of a temporary escape room in aid of charity. 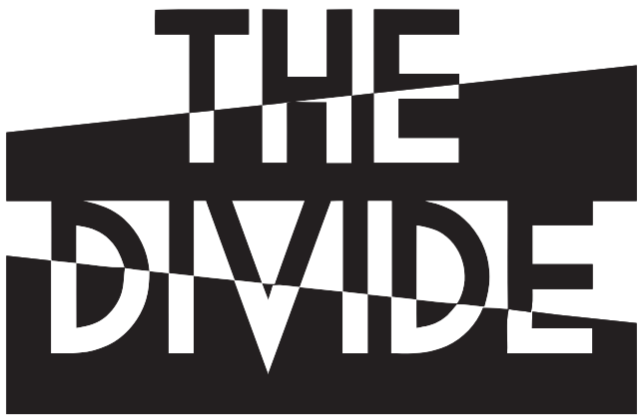 10% of the proceeds from The Divide go to Launchpad, a local charity which aims to prevent homelessness in the Reading area. More than that, though, their aim was to create a game that raised awareness of some of the issues surrounding homelessness. Creating a temporary game is never easy given the inevitable budgetary constraints, but doing one on a very specific subject matter which needed to be treated with particular sensitivity seemed like it would challenge even these experienced designers. Sensibly, I think, they’d chosen to move away from their usual time-travel storyline and set this as an entirely standalone game. The venue is also unusual – they’d been given access to some space that’s due to be redeveloped, with entry through a barber’s shop downstairs and then up plenty of steps to a cosy little space in the attic. It was a hot day on our visit, so they gave us a quick briefing before we went into the air conditioned game space for our video intro. Society is divided, and unbalanced, leaving some in a fortunate position and others less so. But why..? Sometimes we’re too quick to judge the lives of others when we don’t know why or how they have ended up on their current path. But what we do know is how to help. And your challenge is to do just that. Walking inside, you’re greeted with a divided room. Physically divided with a big line painted straight down the middle, but also metaphorically divided with one half being well off and the other impoverished. Throughout the game, they used this divide to great effect, whether it was by requiring the two halves of the room to work together or by emphasising the differences between them. In fact, this is a game that should come with a thorough debrief, because virtually every puzzle within it is aimed at showing different aspects of life that can contribute to homelessness. Relationship difficulties, disabilities and poverty all made an appearance, but I was pleased to see that they’d balanced that by making the game revolve around finding words that represent things we can do to address some of those issues. The Divide has original puzzles that were thoroughly fun to play. Rather than a long line of small puzzles, it has a smaller number of chunkier ones where you need to work out how to make elements within the room interact. This may feel a little intimidating at first but, as soon as you start making progress, you find yourself with progressively fewer possibilities, and the way ahead becomes clearer. Alongside that, they hold back key props for some of the puzzles, which means that, while you may get a feel on how to solve them early on, you won’t be able to complete them until later. That gives everyone the chance to survey most of the puzzles before they’re solved rather than each player seeing only the subset that they complete themselves. The finale to this room is a centrepiece which looms over you throughout. It’s both a metaphor for what we need to do in life and a mechanism that lets you complete the game in a very satisfying way. For this experience, it was pretty much the perfect ending – a showy, exciting ending would have been wrong here. This game deserved a calm, meaningful ending, and that’s exactly what we got. We escaped in 39:29 with a couple of clues for search fails. Making a fun game out of a subject that is most definitely not fun is an incredibly tough ask. What they managed to achieve here is genuinely impressive: exposing players to the bitter realities, treating the subject matter incredibly sensitively, giving positive messages about how society can help… while still managing to make what was a thoroughly enjoyable game. Once again, they’ve created lots of original puzzles, implemented them well, used a strong theme and provided a good finale. This game absolutely does not feel like something put together for just three months, and it’s a travesty that, by the time you read this review, you’ll likely be too late to book. If you do get the chance to go, then grab it. We played as a two and it was wonderful, but there’s enough to keep people busy in parallel, so a team of three or four enthusiasts should be just fine. Full disclosure: We weren’t charged for these tickets but we did make a donation to charity that covered the full cost of the game. That doesn’t influence the review – you can read more on the About page. Jacob on Which London Escape Room? Copyright © 2019 The Logic Escapes Me. Powered by WordPress and Blog Start.